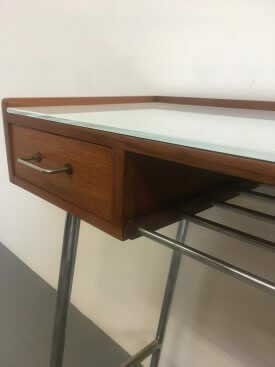 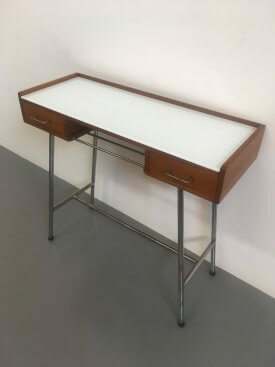 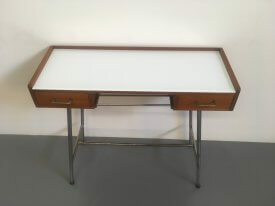 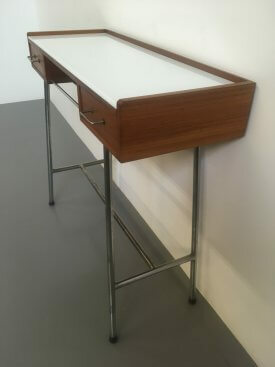 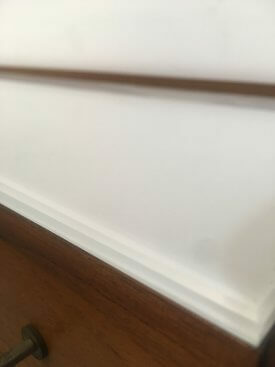 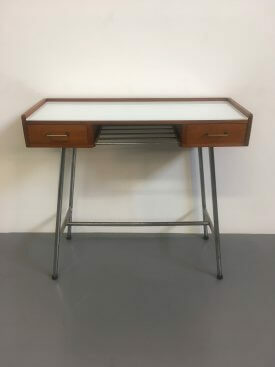 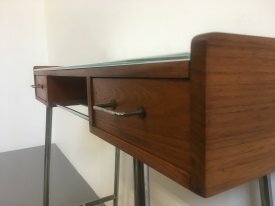 1960’s Danish teak console with white glass top. 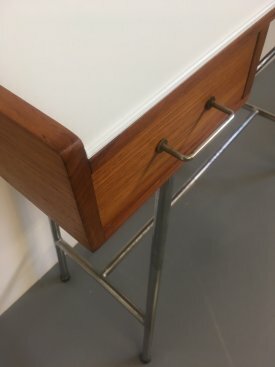 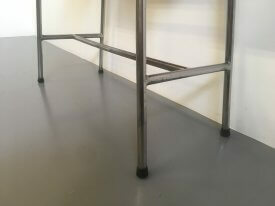 Two small drawers, tubular steel rack and splayed base. 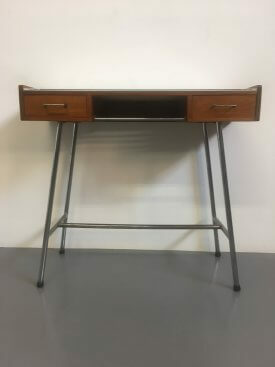 Excellent restored condition, with some pitting to the chrome.